January 13th – A windy day on which I hunkered down, slipping out for a circuit of the town after dark, hoping the wind had subsided. It hadn’t. 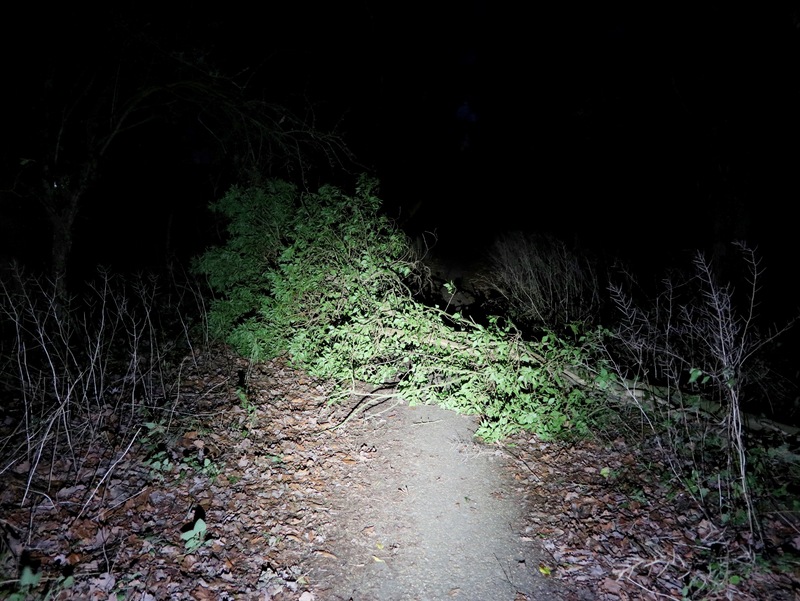 On the cycleway between Engine Lane and the Slough (Old Cement Works) bridge, I encountered a fallen tree and was glad for my powerful front light. It was passable, but posed a danger to others, so I posted this pic on Facebook as a warning. To my delight and huge gratitude, volunteers from Sustrans and Back the Track saw the picture, and went out and cleared it away the very next morning. You can read the story here. Fantastic service to the community. Thanks so much.